HORSE HOOVES AND THEIR HEALTH ARE YOUR DAILY BREAD? THEN WE ARE HAPPY TO WELCOME YOU TO ONE OF OUR COURSES OR WEBINARS AND EXCHANGE OUR KNOWLEDGE. Your passion is hooves and you want to implement the Megasus Horserunners in your fascinating work as a hoof professional? Then you're at the right place: Get a head start now in the future of hoof care. An idea is only as good as it's implementation, so we want to support you and train you in working with the Megasus Horserunners. Our courses offer the best foundation for success. Because, when the Megasus are perfectly mounted, everyone is happy: horses, horse lovers and you as a hoof professional. We want to carry our knowledge throughout the world. Therefore, we also offer virtual workshops, our so-called webinars, and online coaching in addition to our on-location training courses! The core theme of this webinar is the correct mounting of the Megasus Horserunners. If you want to be listed as an expert on the Megasus website, then you can visit one of our workshops – on location or via our webinar. Parallel to our stationary workshops, we also offer virtual workshops, the so-called webinar! After successfully completing the MLP Workshop, you will receive a training star. By taking part in our coaching portion, you can prove your new skills to earn a second star! We would of course like to meet each other in person, but since we only have a small team and the world is large, we are offering our regular MLP Webinar. You purchase a place for the MLP Webinar in our online shop for the date that works best for you. Please book your place at least 2 weeks in advance so we have enough time to ship the Starter Kit to you.You will need it to participate in the webinar. 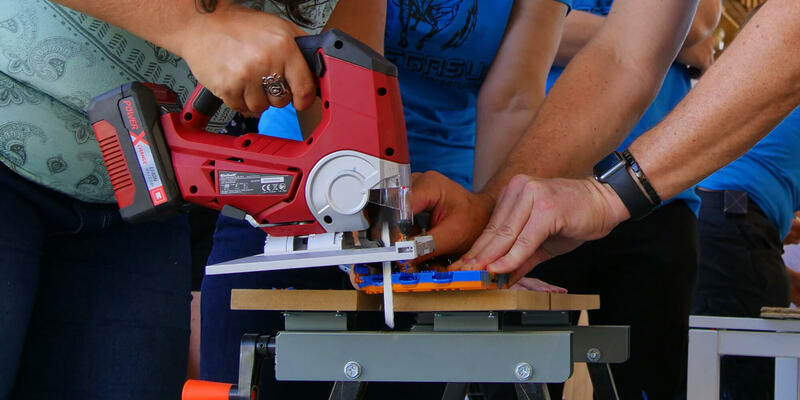 You will receive a Model Hoof set and during the webinar, you will learn how to mount all the Megasus Horserunner varieties: Mega-LOCK, Mega-STICK, and Mega-GLUE. You will also receive four Megasus Horserunners sets of 2, that you can mount for your customers. Following the webinar, you will take photos of the 8 mounted Megasus Horserunners and then send them to us. We will look over the photos and provide coaching for the first 8 mounted Megasus Horserunners. After the successful completion of the webinar you will be listed on our website with a training star. After 8 mounted Megasus and going through the coaching, you will receive a second training start. Our MLP workshops will be advertised in our online shop or the dates will be announced via our newsletter. During the workshop, you will learn how to mount all the Megasus Horserunner varieties: Mega-LOCK, Mega-STICK, and Mega-GLUE. We will begin with the 2 hoof models and a practical portion will follow, where we will mount the Megasus directly on the horse. Included in the workshop price is a Starter Kit. Included in the Starter Kit are four Megasus Horserunners sets of 2, that you can mount for your customers after the workshop. Following the workshop, you will take photos of the 8 mounted Megasus Horserunners and send them to us. 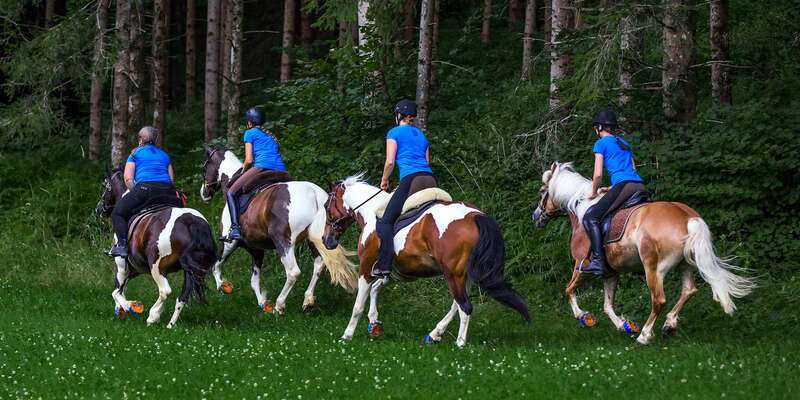 We will look over the photos and provide coaching for the first 8 mounted Megasus Horserunners. After the successful completion of the webinar, you will be listed on our website with a training star. After 8 mounted Megasus and going through the coaching, you will receive a second training start. The focal point of this training is for you to become a trainer. It is expected that you enjoy communication, presentation and organization. Additionally, in special cases with mounting are discussed and participants are prepared for the technical hotline.